Home targetinvest (Target Invest) - Red Alert To All Investor!!! Come In and See !!! (Target Invest) - Red Alert To All Investor!!! Come In and See !!! Red Alert to all Investor, Trader and Punter of KLSE. Today need to informed everyone of this champion stock of 2019, which is Johotin. Johotin sound like a tin manufacturing company for you at first sight. While this is not entirely wrong, it is important to know that Johotin already diversified their core business into F&B manufacturing which focuses on dairy related products. Now, the revenue and profit generated from diary division had surpassed the one from tin manufacturing. 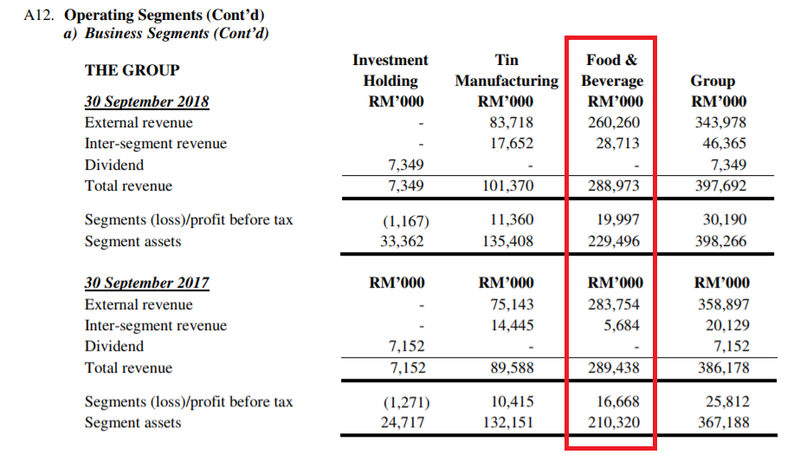 Taken out from the previous quarterly report, you can see that F&B contributed 75% on revenue, and around 67% on profit before tax. This is to note that contribution from the F&B division do not resemble a full capacity operation mode. 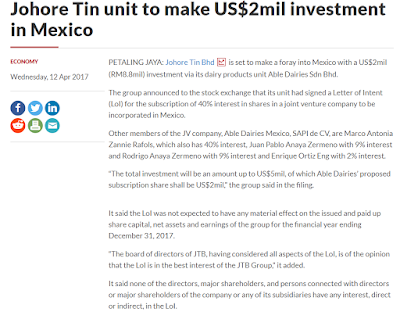 The very reason I am writing this is to tell about the potential of the investment in Mexico that will give Johotin the ultimate bottom line boost in the future revenue and profit. 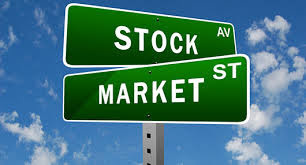 Although this expansion is very big and crucial for Johotin, but it had been lacking of coverage from analyst, which is why I am here to do the noble job of informing all the investor, trader and punter alike to be on the look out for Johotin. First of all, currently all the operation are processed in Malaysia, which means milk powder are sourced from overseas, tin plates locally, and sugar are purchased on Malaysian market price. According to the local prices, 1kg of Sugar will cost RM 2.85 for coarse sugar, and RM 2.95 for fine granulated sugar. 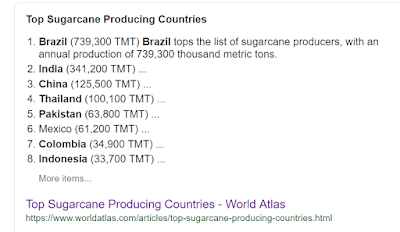 But most of you do not know that at the international level, sugar price is actually trading around RM 1.20 per kg. This means that manufacturer in Malaysia is paying more than double on the international price. 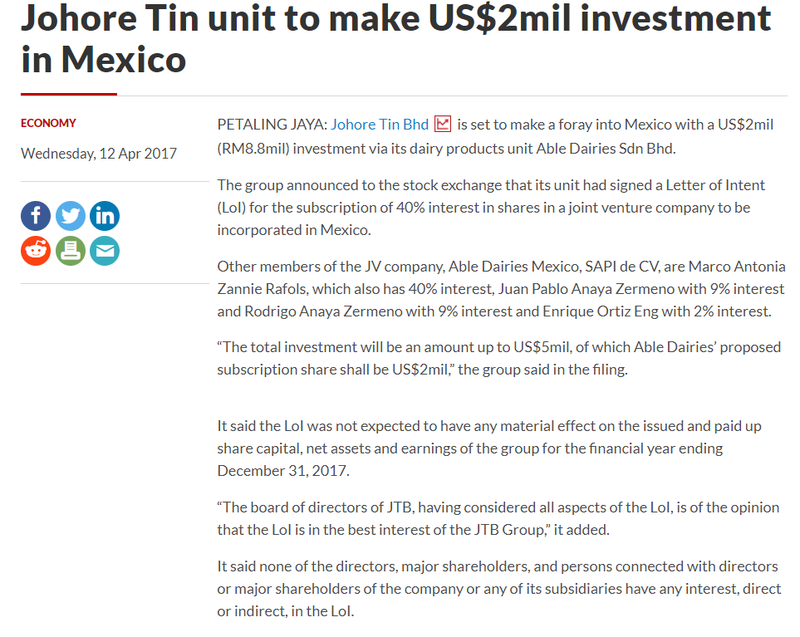 If Johotin is to move it's production into Mexico, the raw material of Sugar will be greatly decrease, hence increasing operating profit. 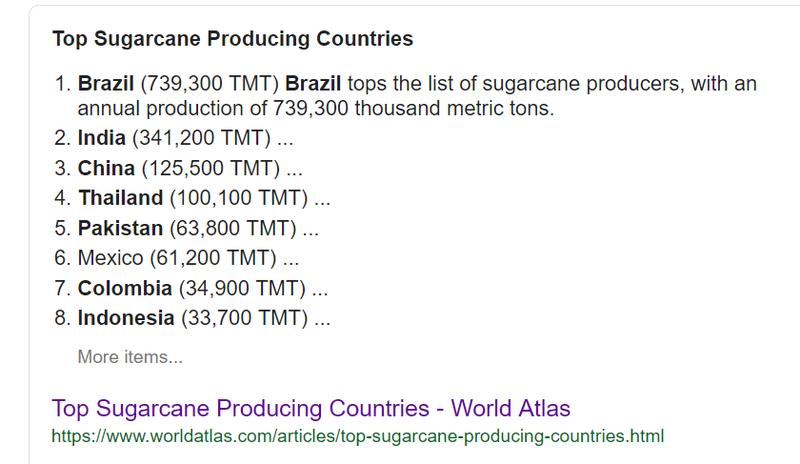 It makes good sense to set up factory in Mexico because Mexico is the top 10 (rank no.6) in sugarcane production, which will put sugar trading at competitive prices. Question now - If Johotin sugar price input from the current RM 2.85 shrink down into RM 1.20 per kilogram, what is the positive impact in terms of operating profit. 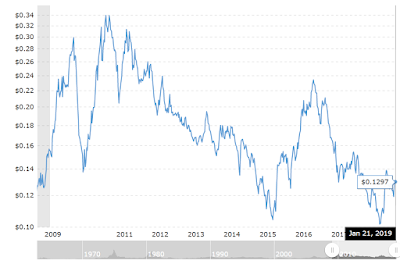 To answer you this good question, I have to show you some projection which is done by professional analyst. This is taken from TAOnline research paper. For every 5% increase in raw material cost within the F&B segment, Johotin net profit is expected to decline 34%. So, if raw material decrease 5%, will net profit increase 34% ? I think probably not. But, what if raw material decrease 57%, from RM 2.85 to become RM 1.20 per kilogram ? 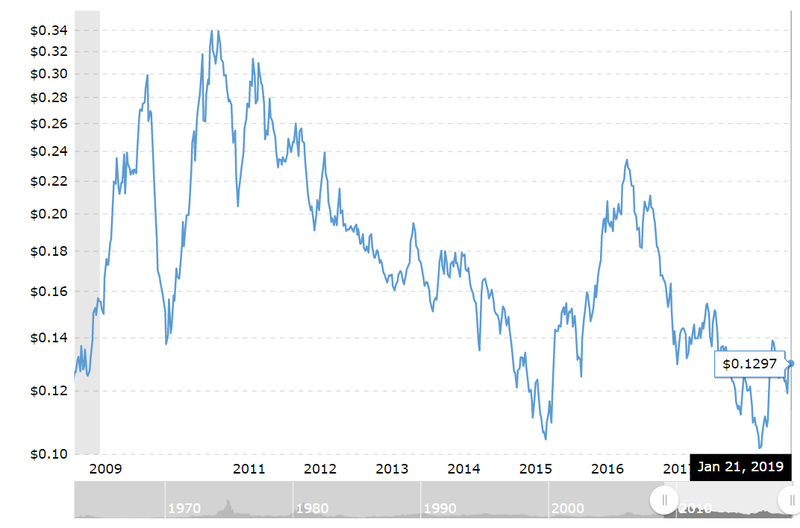 Will Johotin profit at least increase 50% ? I believe that this can be within the range of expectation. As I had already outlined, not many analyst and investor noticed about Johotin coming future potential and earning power. At RM 1.20, I think Johotin is still very reasonably undervalued and much more potential to be unveiled in the future. I had to be honest that I had held Johotin for more than 1 year, buying from RM 1.1x until 0.8x and is still buying and keeping, because I will definitely believe that Johotin will be the future Dutchlady in the making. Solid business, steady revenue and steady dividends. My advice to you is to grab it before fund manager and unit trust start to add Johotin into their fund portfolio.